Panda Internet Security 2011 is a security suite to protect your offline and online activity. It protects you from viruses, hackers, online fraud, known identity theft and other unknown threats. It also keeps your inbox free from spam and lets you browse privately and securely with the new Panda Browser Safe. Also, keep your children still safe when online with Parental Control. Panda Antivirus Pro 2011 offers the most intuitive protection and easy to use for your computer. Install it and forget about viruses, spyware, rootkits, hackers and online fraud. If you chat, surf and play online often, this is your protection. Click “DESCARGAR GRATIS” button to download the software. Download which you want. Panda Internet Security 2011 or Panda Antivirus pro 2011. The file downloaded here is offline installer. 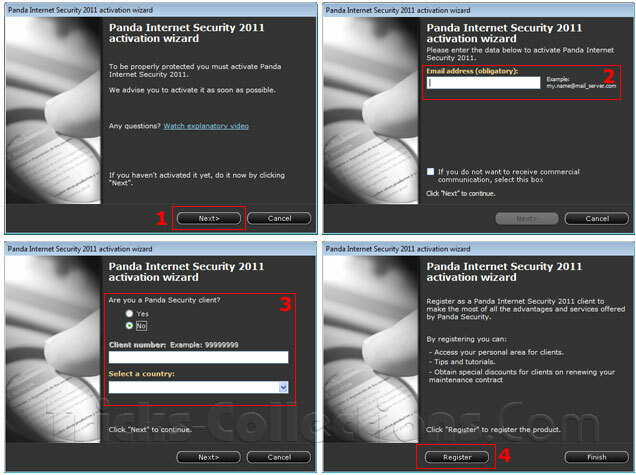 Once the process finished, your panda security software will active for 6 months (see the Panda IS 2011 screenshot above). Note: although this promo is from Allianz insurance but to activate this program you are not required to have a policy from Allianz because the activation process was not prompt a polish number.